There are two honeycomb discs: 25 and 45 degrees. You can use them individually, or put them together to create a 16 degree pattern. I played with the discs today, and was quite pleased at how much control I had over the output. The entire kit only weighs 3.5 ounces, and it fits easily in most camera bags. Along with a coupe FlashBenders, you suddenly have pro studio power in a very lightweight kit. I'm working on some test shots that I'll post here. Stay tuned. The fast, beautiful Olympus XZ-1 has one of the most enticing lenses we've seen on a compact camera -- iZuiko f/1.8-f/2.5 4X zoom. With such a bright lens, you can't help to think about this camera for existing light photography under all conditions... that is, if the ISO performance is good. So I put the XZ-1 to the test. Olympus XZ-1 at ISO 400. You can see the complete set of unedited test images on the TDS Flickr site. Photos by Derrick Story. For the test, I tripod-mounted an Olympus XZ-1 and Canon S90 side-by-side. Both cameras were set in program mode with auto white balance. No exposure compensation. Using the self-timer to trip the shutter, frames were recorded at ISO 100, 200, 400, 800, 1600, and 3200. Jpeg Fine mode was used for each. Both the unedited Olympus XZ-1 test images and the Canon S90 test images are posted on the TDS Flickr site. The Olympus XZ-1 logged in an impressive performance for ISO 100, 200, and 400, surpassing the Canon S90 at those settings. At ISO 800, chroma noise begins to degrade the image, getting worse at ISO 1600. I don't recommend using the camera at ISO 3200. With terrific image performance at ISO 100-400, combined with a fast f/1.8 lens, means that the XZ-1 is a serious photographic tool. I'm even comfortable shooting at ISO 800, although I probably won't set it to ISO 1600 except in extreme cases. Add the fact that the XZ-1 includes a hot shoe and has wireless flash trigger capability with Olympus strobes, means that you can easily add supplemental light for those situations where existing light does't provide the desired results. TDS Podcast about the ISO test coming on March 29, 2011. 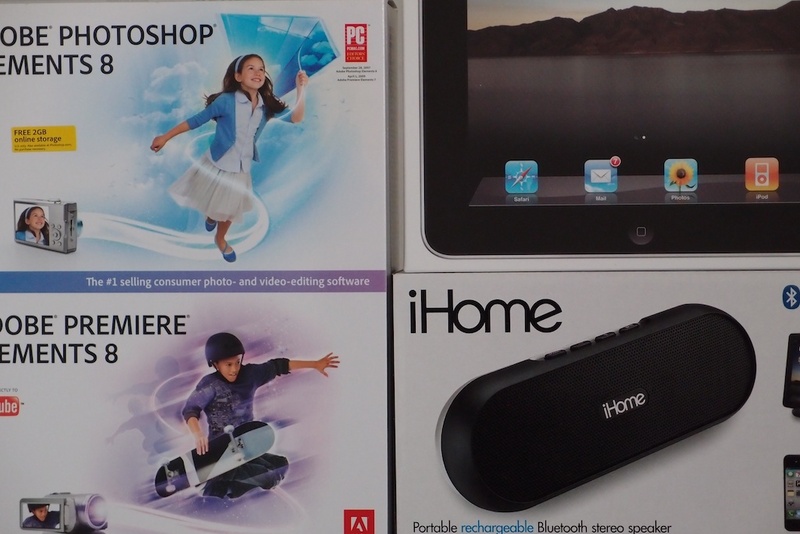 It's about time someone produced one of these: a CF card reader for iPad and iPad 2. It also includes a USB port, although I'm not sure what you can do with that. Maybe connect a second camera? I just placed an order with the M.I.C. Store (stands for made in China, I believe). The item cost $29.90 plus shipping for a total cost of $36.50 US. It will be a couple weeks before I receive it. I'll let you know how it goes. I've been working with all three Rogue FlashBenders in the Rogue FlashBender Kit (bounce card, small and large positionable reflectors, $105) with great results. If you haven't read about these modifiers yet, they are extremely handy for the photographer on the go, or for the shooter who has limited space to work. The FlashBenders attach to practically any flash and allow you to bounce the light off their reflective white surface. You can position them in a variety of ways to get the exact effect you want. And unlike most modifiers, you can easily pack them in your regular camera bag. I'll soon have a video showing me using these for a live group shoot. One of the questions I'm often asked is, "If I were to get just one FlashBender, which one do you recommend?" 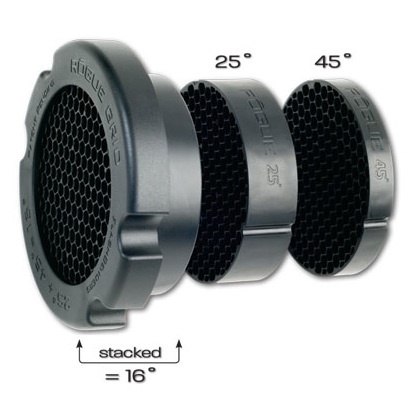 I think the Large Positionable Reflector ($39) is the most versatile of the set. You have a big surface to work with, yet it still fits in the camera bag. For fast moving assignments, I'll put a FlashBender on one off-camera flash, and use it to supplement the ambient lighting, or in combination with a light from a second flash mounted on the camera. In terms of "light hardness," the FlashBender is in-between direct flash and an umbrella. It definitely has more edge than a soft modifier but without the harshness of the direct light from a small flash head. An effective, versatile set up for portraits is to position a large FlashBender off-camera, with a bounce reflector on the fill side. This combination provides, crisp, flattering results, yet doesn't require a large investment in lighting equipment. The first two things that struck me about the new Olympus XZ-1 10 MP Digital Camera with f1.8 Lens was the large diameter of the lens housing and how light the camera feels in the hands, even with the metal exterior. Because of these first impressions, I decided that it's first worth focusing on this camera's look and feel, and the menu system. When you push the recessed power button on the top of the camera, the lens immediately comes to life. It's responsive. Focusing is fast, even in low light. The 3" LCD monitor that supports 610,000 dots is beautiful. The iZuiko f/1.8-2.5 zoom (28-112mm equivalent) provides lots of light to the 1/1.63-inch, 10-megapixel CCD sensor. Even at the telephoto setting it's a bright f/2.5. That means you're not limited to working at the wide end of the zoom in low light. I love the big, machined control ring around the lens barrel that adjusts ISO in Program mode, f/stop in Aperture Priority Mode, and shutter speed in Shutter Priority Mode. When you're in Manual exposure mode, the lens ring adjusts aperture while the wheel controller on the back of the camera sets shutter speed. You can monitor everything in real time on the LCD. Manual photography is seldom this much fun. Speaking of exposure settings, the Mode dial on top of the camera gives the usual PSAM options, plus full Auto, Scene, Art Filters, Low Light, and a Custom mode. The shutter button, next to the Mode dial, is firm and responsive. The Playback button on the back of the XZ-1 can initiate image review even when the camera is turned off. This is a feature that I like on the Canon S95, and am happy to have it on this Olympus too. Above it, there's the dedicated video recording button. Very handy, and it's also slightly recessed to prevent accidental movie making. Back on top, there's a pop-up flash that you initiate with a sliding button, and an Accessory Port/hot shoe. I tested the FL-14 accessory flash in the hot shoe, and the TTL-Auto exposures looked good. I'll test other accessories for the upcoming second part. Olympus cleaned up their Menu system for the XZ-1, much to my appreciation. I've been critical of their menus in the past, and I found the control screens on the XZ-1 the best I've seen on an Olympus camera. Well done, and thanks! My only nit has to do with recharging the battery. Instead of giving us a dedicated charger, you have to keep the battery in the camera and connect it to a charging adapter. That seems so unprofessional for an otherwise pro spec camera. In an upcoming post, I'll get into image quality and compare the XZ-1 to a few of its prime competitors. Until then, I'll be enjoying how this camera feels while taking pictures. 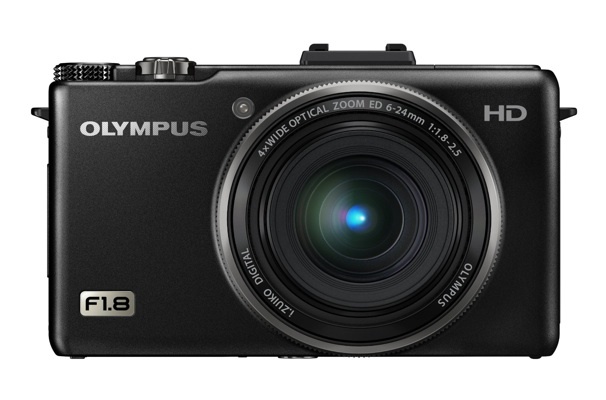 The Olympus XZ-1 10 MP Digital Camera with f1.8 Lens is currently selling for $499 US. Much has changed in the Flickr universe since I released the original training title on lynda.com in 2009. So I went back into the recording booth to create a brand new, updated, Flickr Essential Training for 2011. Right now, you can view 8 free movies that cover really useful stuff, such as keyboard shortcuts, editing your personal information, and tips for using Google to search inside of Flickr. I even have this short welcome movie to give you a feel for the tone and contents of this title. Personally, I think Flickr is once of the most enjoyable ways to share photos and view great work by others. And if you invest just a little time with this training title, you'll get more out of this online photography site than you ever imagined.